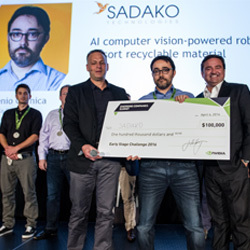 SADAKO TECHNOLOGIES is a Spanish company incorporated in 2012 as a result of the concern of its founders to use technology and engineering to build a better world. 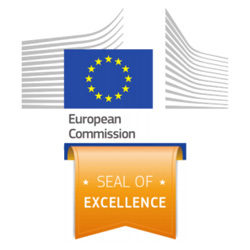 Specialists in the development of latest generation Artificial Intelligence and Robotics technologies, we are developing solutions with real impact for real customers in order to bring technology to market and contribute solving societal challenges. 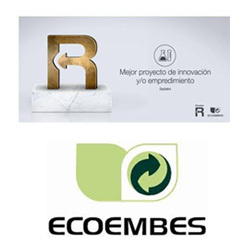 Mainly focused in the recycling field, we are also initiating projects in other industries and willing to expand the impact of our AI technology. 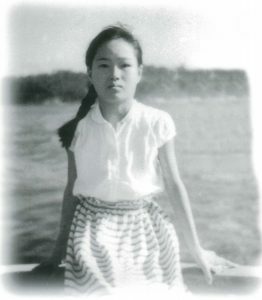 SADAKO TECHNOLOGIES takes its name from a Japanese girl called Sadako Sasaki who survived in Hiroshima when the atomic bomb exploded. Sadako Sasaki and her legend of the 1.000 cranes have become example of effort, courage, hope and solidarity, which are our company values. She inspires us in our mission to build a better future. NVIDIA Early Stage Challenge 2016. 100.000$ Prize. 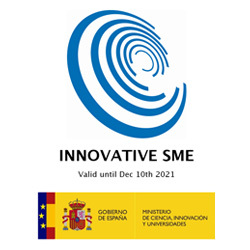 Accreditation of “Innovative SME” of the Ministery of Economy, Government of Spain. SADAKO TECHNOLOGIES counts with a wide human team, mostly engineers and informatics, covering the areas of AI, Computer Vision, robotics, and business development. 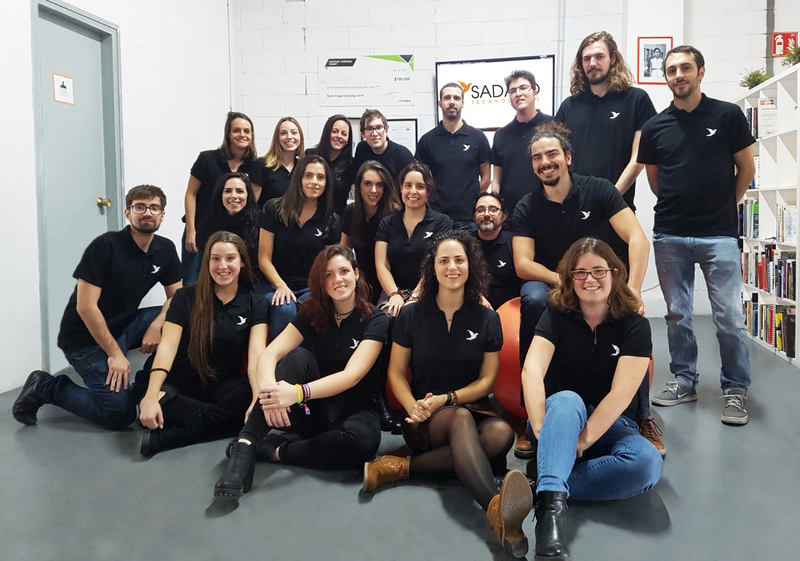 Our high skilled and high motivated team is one of our most important assets, and we are proud that in SADAKO all technological work is always made on a mission-centric basis.